Thank you for supporting our battle against sarcoma cancer. We are pleased to announce that we have 501c3 public charity status. All donations to our organization are 100% tax deductible. A simple way to be part of our mission to end sarcoma caner with a donation via PayPal today. Email us for upcoming volunteer opportunities, or to share new fundraising ideas. 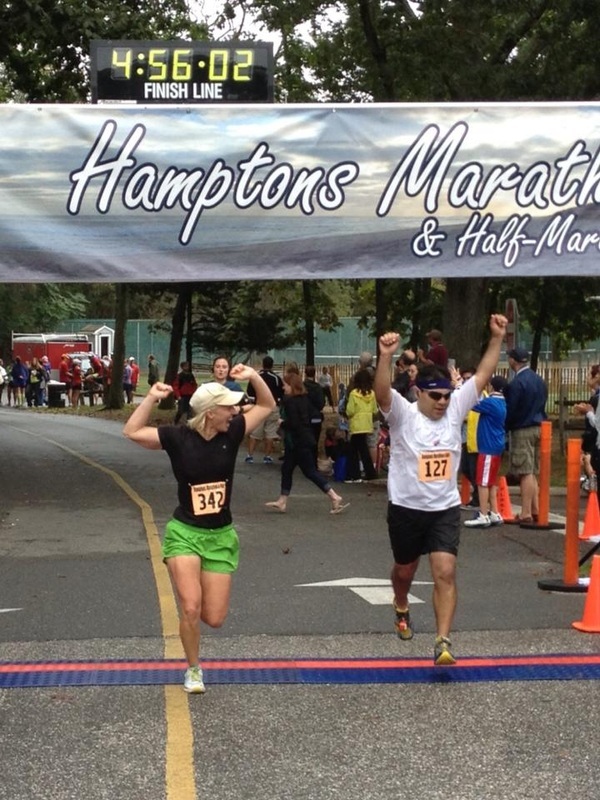 Jose Flores finishing the 2012 Hamptons Marathon! Thank you for supported Jose Flores's 26.2 miles for the Ken Pribil Jr. Foundation! We are delighted to have Jose Flores running the 2013 NYC Marathon on behalf of the Ken Pribil Jr. Foundation, to benefit education and sarcoma cancer research with our Sarcoma Research Grant! Please consider supporting Jose's efforts. Every donation counts! Help inspire his training by building buzz and raising funds for his actions for the KPJ Foundation! World Cancer Day is February 4th! Make a difference in the future face of cancer, make a donation towards our Cancer Research Grant today via PayPal! We will be granting funding to a cancer research student towards studying sarcoma cancer, how to diagnose it earlier and prevent it later on this year. Help us to make this dream a reality! Thank YOU for making our NYC / Miami Marathon Fundraiser a great success! We want to thank all of the families, individuals and businesses that donated to the success of this fundraiser. We were fortunate to expand the Ken Pribil Jr. Foundation "Team" to: 6 long distance runners with a devoted cheering section! We were able to fund our 8th annual scholarship to be presented in June 2013 with the funds donated for this event and start funding for our 2013 Cancer Research Grant. Thank YOU for being a special part of it! 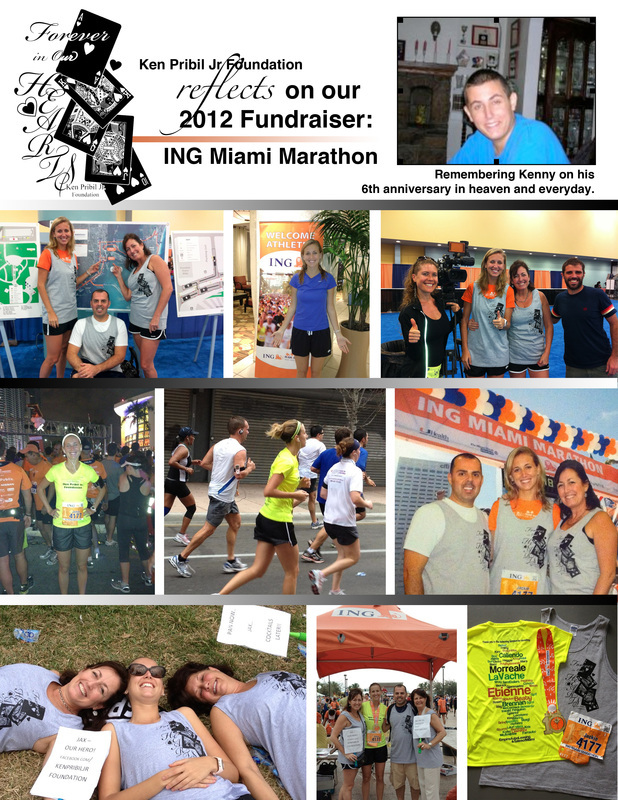 Miami Marathon Fundraiser included sponsorships from over 40 families, individuals and businesses. Thank YOU for making it a success!